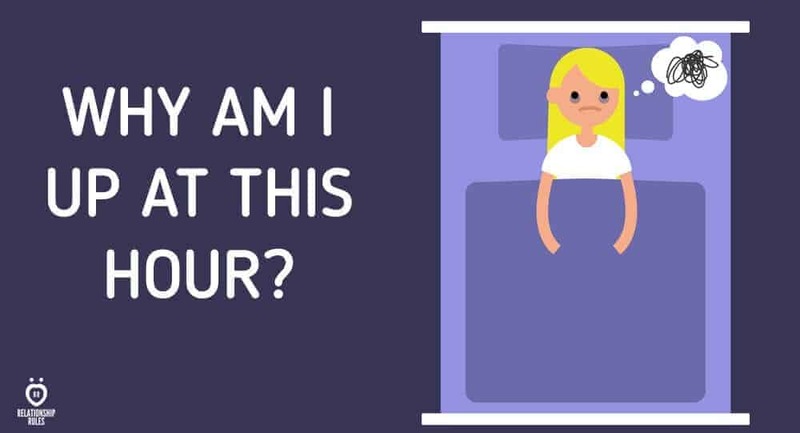 Ever wonder why you wake up at the same time every night? Are you the kind of person who just wakes up in the middle of the night at the exact same time just about every single night? There’s a reason for that. There are things about your human body that are incredibly complex and that serve very specific purposes. Your body, as explained by ancient Chinese medicine, is composed of energy meridians that are deeply connected with your daily bodily functions. Your energy meridians are also connected to your body clock system and is in charge of bringing energy to different parts of your body to help you with your day-to-day activities. How your body clock chooses to wake up is an indicator of how your energy meridians work and how your body responds to these energy boosts. Find out what it means for you to wake up during a very particular time. For the vast majority of people, this is the usual bedtime period. Most people, after having a spent a long and tiring day performing various tasks and activities, would be dead tired during this period of the day. However, when you find yourself as a member of the unlucky few who will have difficulty sleeping at this time, then that is an indication of high levels of stress in your system. You have plenty of worries that keep you awake at night, and they continue to race through your mind, not allowing you to rest at all. To help you sleep, you should engage in some simple meditation and relaxation exercises to help calm your nerves. Ancient Chinese knowledge says that during these hours, energy meridians are heavily focused on a body’s gall bladder. If you find yourself constantly waking up during these hours, then you are most likely a victim of consistent emotional disappointment. In order to remedy this, you have to start training yourself to engage in self-acceptance and empathy for others. Regain some well-deserved sleep by learning to let go of things that you can’t control, and rid your heart of any toxicity. Waking up at this time means that your energy meridians are highly active in your liver functions. When you are always waking up during these hours, it may mean that you are an incredibly angry person whose energies are being drowned out by negative juices of ire and hatred. The next time you wake up during this hour, try getting up for a glass of cold water and allow your mind to let go of all the hatred that rests in your system. Release any anger that you’re keeping inside, and then you can have some shut-eye. If you’re the type of person who is persistently waking up between the hours of 3am and 5am, then that means that your energy meridians are associated to emotions of sadness. You are trying so hard to contain all the heartbreak that is within you, and it can be difficult. You have been let down so many times in your life and the weight of it all is costing you some beauty sleep. Another possible reason that you’re waking up during these hours is because this is the period wherein you are in your most spiritually vulnerable state. During this time, the higher powers may be trying to tap into your soul to send you personal messages about your direction in life and the greater purpose that you must live up to. We will discuss this topic more in-depth in the latter parts of this article. Your energy meridians are working their magic in your large intestines at this time period. Waking up during these times consistently also indicate high levels of emotional blockage in your body. If you want to go back and scrap for some few extra minutes of shut eye, then maybe you can try doing a few light stretches to relax yourself and get back to sleep. You can also pay the restroom a visit and relieve yourself to help your body relax and ease back into drowsiness. When you sleep, you are at your most vulnerable state. Your soul opens itself up to worlds that stretch beyond traditional human senses. You are a more open book and a blank canvas when you are asleep. This is the perfect opportunity for the Divine to get in touch with you and help guide you on your destined path. It is important for you to find contentment in life, and you must pay attention to the signs that are presented to you while you sleep if you are to really live up to your full potential. Can you relate to this? Let me know in the comments below!